The answer to Israel’s strategic dilemma may reside in Gaza. The current crisis in the Obama-Netanyahu relationship should propel both leaders to reassess their basic policies toward Palestine. They must redefine their targets, to think realistically but also creatively. Ending the conflict between Israel and Palestine is not an attainable goal. What is attainable is a clear and dramatic decrease in tension in the conflict—a goal that would, indeed, serve the necessities of American foreign policy on Iran, Afghanistan, and Yemen. Now is the moment to go back to the drawing board and to examine every option in search of a practical policy. For all their recent disagreements, Israel and the United States share a common view of the Palestinians. They have jointly affirmed their resolve to coax the Fatah-controlled Palestinian Authority (PA) to the negotiating table, while ignoring Hamas. This is a policy that has now lasted close to four years—with, by and large, the support of the international community. Hamas, it is commonly agreed, will only make an acceptable partner for negotiation if it undergoes an ideological transformation, a transformation that is very unlikely to ever occur. But now might be the right time to reconsider this policy, especially in light of the recent behavior of the PA. To take one recent example: When the Israeli cabinet recently designated two sites in Hebron and Bethlehem to be preserved as national heritage landmarks, the PA joined Hamas in issuing inflammatory statements exhorting the populace to demonstrate against the Jewish appropriation of Muslim holy sites. Stone throwing and violence quickly ensued. Abu Mazen, the self-styled moderate president of the PA, provocatively warned of an impending religious war. Only a stern warning sent by Israeli security authorities brought the “moderate” Palestinian leadership to its senses. And even then, it was only the Israelis who were capable of becalming Jerusalem and the West Bank, with sustained and daily operations in Palestinian-controlled areas. In a time of crisis, the shortcomings of the ruling Palestinians were exposed. 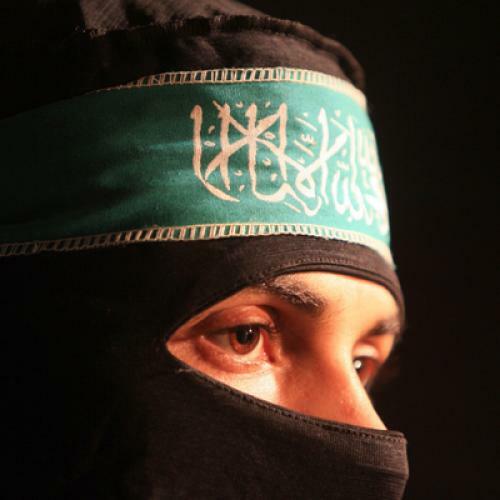 It can be difficult these days to distinguish the PA from its Hamas rivals in the West Bank. The festive inauguration of the Hurva Synagogue in the Jewish Quarter of Jerusalem’s Old City brought nearly identical statements from the two groups. Just like the Hamas leader Khaled Meshal, key members of the Palestinian Liberation Organization and aides to Abu Mazen argued that the reconstruction of this synagogue posed a serious threat to the Al Aqsa mosque. It all raises the question: If the Palestinians in the West Bank won’t make for good partners, then what? Gaza hardly seems a more promising place to answer this question, at least at first blush. Every time a rocket is launched from the Strip, Israel holds Hamas responsible for the acts and justifiably retaliates. But Israel has also imposed an ironclad siege on Gaza—and, in so doing, it fails to acknowledge that Hamas also has a legal responsibility for the well-being of the ever-increasing population there. What can change this state of affairs? The rump Palestinian Authority in Ramallah will never be able to restore its authority there. There’s no sign that the population of Gaza intends to rebel against the Hamas regime. And nobody on the outside—not Israel, not the international community—has a coherent policy that will redress this situation. Thus, the people of Gaza are condemned to endure the present state of affairs indefinitely. Current policy, after all, sends Hamas the signal that it is doomed to exclusion come what may and forever. But the more that Hamas is permitted inside the tent, the better the prospects of a modest (yet historic) success. Of course, there will be those who say this is impossible. They will say Hamas is inhuman, and why would the Iranians ever allow this? The answer is that Fatah hardly behaves much better than Hamas. Besides, Fatah has limited ability to deliver any sort of peace without the consent of Hamas. As far as the Iranians go, once you start talking with Hamas, you soon discover how much they hate the guts of those renegade Shiites in Tehran. I could be wrong about all of this. But given the unworkable alternatives, surely this is worth putting to the test. Efraim Halevy is head of the Center for Strategic and Policy Studies at the Hebrew University of Jerusalem. He served as head of the Mossad from 1998 to 2002, and he was national security adviser to Prime Minister Ariel Sharon in 2002-2003. He is the author of Man in the Shadows: Inside the Middle East Crisis with a Man who Led the Mossad.